Have you seen Magic Pipe vapes in your local dispensary yet? 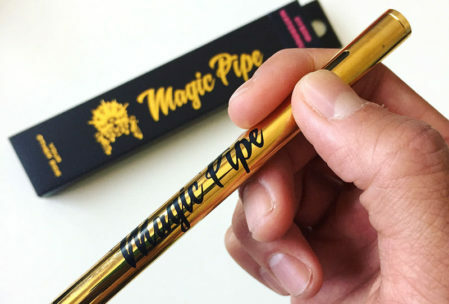 Magic Pipe is a brand new vape line hitting the scene in California. In just a few months, they’ve touched on every point we could ask for in a good vape: excellent strains and flavors, beautiful branding, quality hardware, and most importantly, quality cannabis oil. Magic Pipe is making a dent in the vape market with their amazing distillate cannabis oils. The line of Magic Pipe vapes started with cartridges and pre-filled disposable vapes. Their full line now includes pre-filled syringes and a nifty, variable voltage battery as well. Each Magic Pipe disposable vape pen is filled with a half gram (500 mg) of premium cannabis oil. The vape pen provides convenience by combining both pre-filled cartridge with the battery. 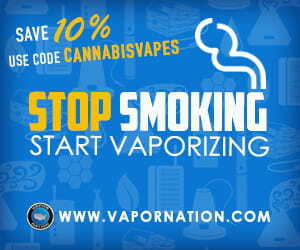 Each vape is metered to last you about 280 full hits. The disposable vape features a glossy, all gold body, with a buttonless design. 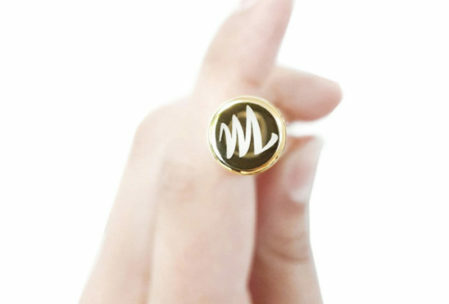 The bottom of the vape pen has a branded “M” logo that lights up as you take a puff. Disposable vape pens are the most convenient way to vape. Avoid the hassle of dealing with recharging batteries and simply toss it out once it’s done. 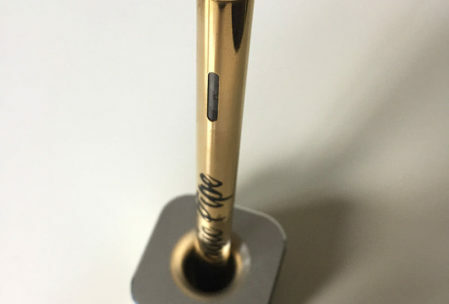 Every Magic Pipe cartridge is made with a sturdy glass tank and a polished gold metal tip. The cartridges are standard 510 threaded which works with most vape batteries on the market. Magic Pipe also offers a branded, variable voltage battery to use with these vape cartridges. 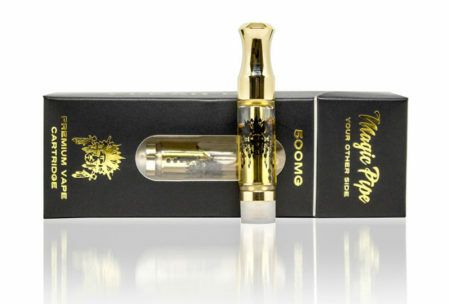 Magic Pipe vape cartridges are available in two sizes, either half gram (500 mg) or one full gram (1000 mg). Pre-filled syringes are excellent for easy dispensing and accurate dosing. These work great for refilling empty cartridges. 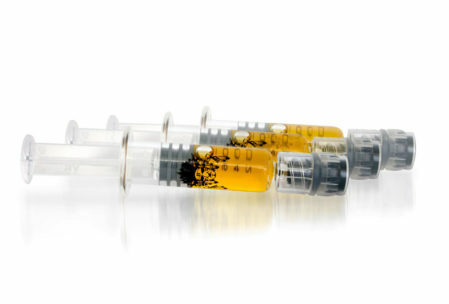 Each Magic Pipe syringe is pre-filled with 1 ml of their premium, distillate cannabis oil. Syringes are available in all the same cannabis strains and flavors that are offered as with their disposable vape pens and vape cartridges. The variable voltage battery is one of Magic Pipe’s newest products. Their push-button vape batteries are compatible with 510 threaded vape cartridges and have a storage capacity of 310 mAh. The dial at the base of the battery allows for adjusting the volts to the perfect setting, depending on the thickness of your oils. 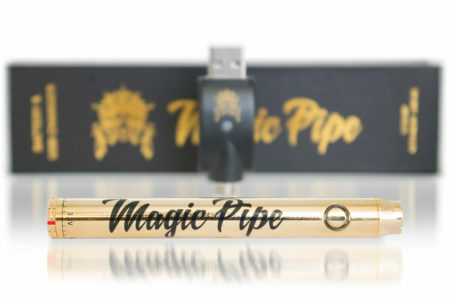 All Magic Pipe batteries sport a polished gold finish and include a standard USB-charger. For the latest menu, check the Magic Pipe strain list. Magic Pipe uses molecular distillation to produce ultra-purified, beautiful crystal clear cannabis oils. Every Magic Pipe vape cartridge and pre-filled disposable vape pen is filled with oils testing at over 65%+ THC. 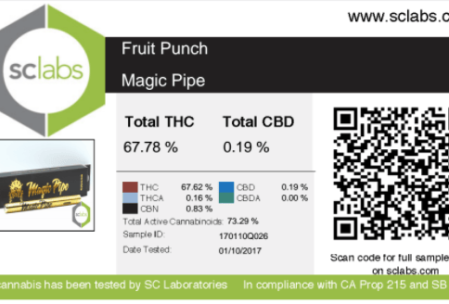 Magic Pipe will be coming out with high CBD cannabis oils shortly. All Magic Pipe oils taste like candy, but vape with caution as they are potent! All of the flavors in the Magic Pipe line are mouthwateringly delicious. We had the opportunity to try several vape cartridges and disposable vapes. Some of the flavors we tried include Blueberry, Strawberry Cough, Gelato OG, and SkyWalker OG vape oils. Boy oh, boy do these vapes taste and smell delicious. The Gelato was one of our favorites. It’s light, sweet and creamy with a sugary taste on the inhale. A pleasant Gelato flavor lingers shortly after. It was smooth all the way through. The cartridges tend to produce slightly better flavor, but the disposables are still yummy. Both have a decent amount of THC and will give you a good buzz with just a few puffs. If you like disposable vapes, you might also like the CTZN Vape Stand to hold all your precious vape pens. The stand fits most vape pen style batteries. 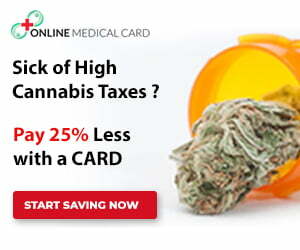 Magic Pipe vape products are available in over 30 dispensaries throughout California. Check out the Magic Pipe site for more info. You can find specific dispensaries that carry Magic Pipe with the store locator. Do you run a dispensary and are interested in carrying Magic Pipe? Contact us so we can put you in touch.